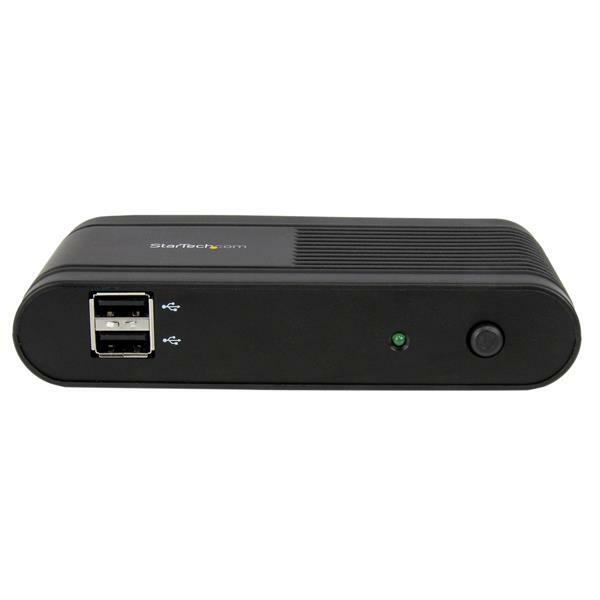 The WIFI2HD2 HDMI® over Wi-Fi Adapter enables you to send an HDMI audio/video signal from a laptop or desktop computer, to a remote projector or display over a wireless IP network. 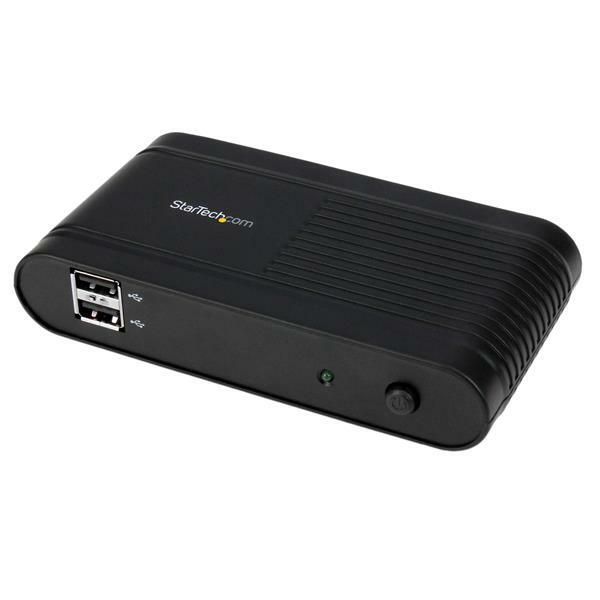 Unlike other wireless video solutions which require devices at both ends of the connection, the WIFI2HD2 is a single compact device that can be situated by your remote display / projector, making it perfect for business applications such as boardroom presentations. The only requirement is the included software must be installed on a computer to connect to the WIFI2HD2. 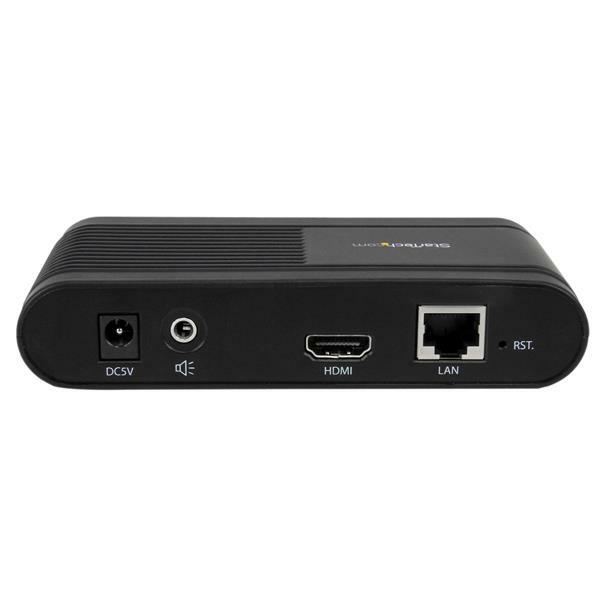 Compatible with Wireless-N (IEEE 802.11n) and backward compatible with Wireless-G (802.11 g) networks, this HDMI over WiFi extender supports resolutions up to 1080p for optimum video and audio quality. The extender also features an integrated USB port, for keyboard/mouse connection. 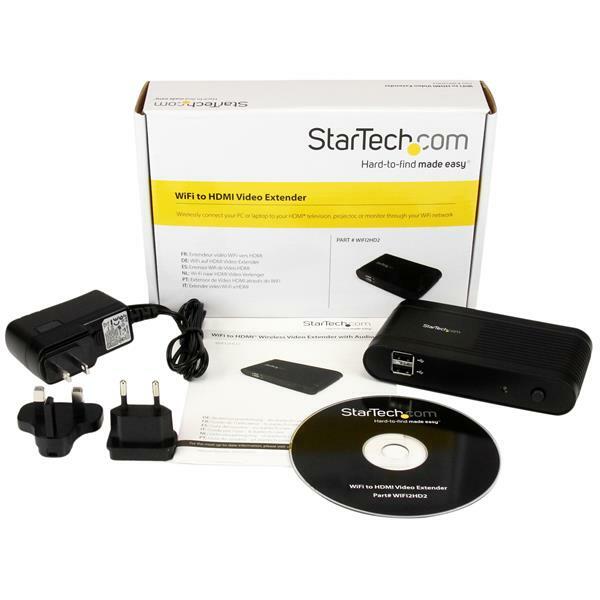 The WIFI2HD2 HDMI Wi-Fi Adapter is backed by a StarTech.com 2-year warranty and free lifetime technical support. Note 1080p video resolution is supported only on Intel® HD Family Graphics Adapters (HD 2000 or above). All other graphics adapters will be limited to 720p.